The Italian course Ripeti Con Me starts at a beginner level and focuses on essential vocabulary. Its slow pace makes it accessible to new students. Using discount code G4L2018 you'll get a 10% discount on any purchase. Read also our Review of Ripeti con me! The course materials consist of audio files and PDFs. Lessons last approximately 30 minutes and you’re meant to complete one lesson each day. Currently, there are 45 lessons for sale but new lessons have already been designed and will continue to be added. In each lesson, there are 30 sentences for you to learn. Each day, you’re meant to listen to 3 audio files that will get you thinking in Italian and speaking throughout. There are three parts – Part A, Part B, and Part C and you’re meant to go through them in that order. You find a preview of part A in the course program below. LingoHut is a completely free, foreign language learning website available in over 50 different languages! Our passion is to help volunteers, tourists, teachers, students, shopkeepers and newly displaced people succeed socially, intellectually and economically by teaching basic communication skills to be comfortable in a new culture. Lingualia isn’t just a social network for learning languages and meeting people from all over the world to practise with, it’s a revolutionary new way to learn languages. Introducing Lingu – your made-to-measure teacher. Lingu is based on artificial intelligence which means he can automatically personalise each and every course to suit the student’s level across a variety of disciplines, their free time, and their motivation. You can also connect with other learners by issuing and accepting "challenges", have your writing exercises corrected, etc. 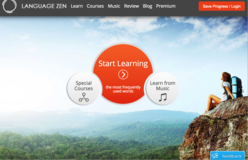 Using the Spaced Repetition System, the apps adapt to the learners' skill level. In addition to German, French, Italian , and Spanish. 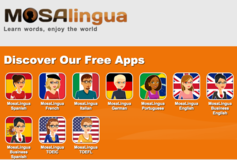 MosaLingua also offers Portuguese, English, and Russian. If you prefer, you can also use Mosalingua's web version. Become fluent in any language with italki! - italki is a language learning marketplace where students can find the best online language teachers in the world. italki is the leader in online language education with over 1.5 million students and 4000+ teachers of 100 languages. mywebspot is the leading provider of Pocket WiFi in Europe and provides unlimited, secure and reliable WiFi to travelers in more than 100 countries worldwide. You know the problem of arriving at a foreign airport and your mobile phone provider is informing you about the expensive roaming prices? With a Pocket WiFi rental you do not pay any roaming charges, browse the internet with up to 4G and share the WiFi with up to 10 devices. 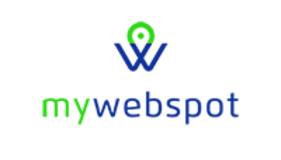 PS: mywebspot worked great for us during our Dutch Canal Boating trip, and continuing travel to Lake Constance and Austria. 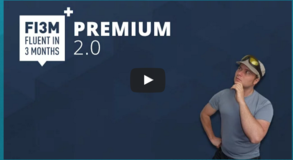 I have just launched a new series of Language Hacking Courses, which will get you going in no time!